Since a purpose built recycling facility was opened in 2010 near Cumbernauld, Scotland, food waste from councils, hotels and industry has been processed and converted into energy which is fed into the National Grid. In less than five years 15.5GWh of electricity have been generated at Deerdykes - producing enough electricity to power 2,000 homes a year. The plant at Deerdykes Development Centre, operated by Scottish Water Horizons, a subsidiary of the public utility, which supports the development of a sustainable economy in Scotland, is centered around an anaerobic digester (AD) which generates bio-gas and uses this to generate electricity. Andrew Macdonald, Head of Scottish Water Horizons, said: "From left-overs to produce passed its use-by date, people living and working in Scotland are becoming more and more used to recycling food. "The fact that food can then be transformed into clean, green energy at facilities such as Deerdykes is a great way of helping to build Scotland's low carbon economy. "It's all part of our wider efforts to maximise the value of Scotland's water resources and assets. In providing essential services to customers, Scottish Water is a significant user of energy, and in the last two years we've doubled the amount of renewable energy that can be generated at our treatment works and in our water mains to more than 50GWh. "Through use of technologies such as solar panels and hydro turbines in pipes, several of our treatment works can now generate all - and in some cases more - of the energy they need to operate. This is helping to reduce our energy costs for the benefit of customers while contributing to national renewable energy targets." Stephanie Clark, Policy Manager at Scottish Renewables, said: "Scotland's AD sector is thriving, with recent figures showing there are 27 plants across the country, up 69% on a year ago. "Facilities like Deerdykes show the positive things that can happen when we look at waste in different ways. The plant is providing green electricity to the grid and reducing the amount sent to landfill - both outcomes which help the environment." Colin Lindsay, Operations Manager of Deerdykes Development Centre, said:"Over the past few years we have seen a marked increase in the number of businesses realising the potential of food waste recycling. However, now that food waste segregation is becoming a legal requirement for smaller waste volumes, many more businesses are having to take arrangements to reduce the volume of waste they landfill - offer a viable, sustainable alternative. "By separating food waste for recycling, businesses can keep a tighter hold on waste volumes and associated costs, which is important in our current economic climate. 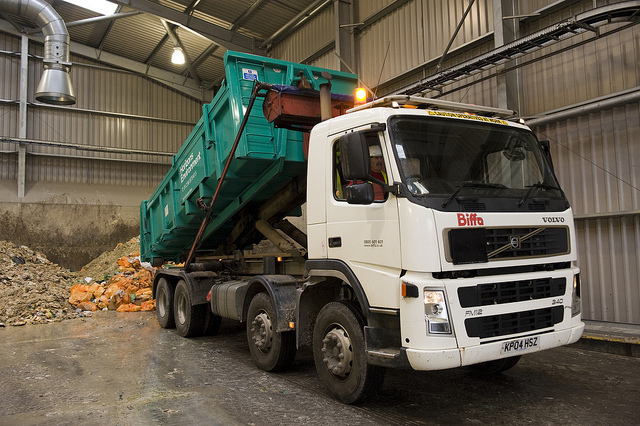 It's all about getting the message out to the wider business and public sectors - food waste recycling is not only good for the environment, it's also good for business." New legislation is being introduced in January requiring any businesses (except in rural areas) which produce 5kg or more of food waste per week to recycle food waste as a cost-effective and environmentally friendly alternative to landfill - helping to avoid the release of greenhouse gases. Earlier this year the law changed and now all local authorities in Scotland are required to offer householders (except in rural areas) a food waste recycling service. 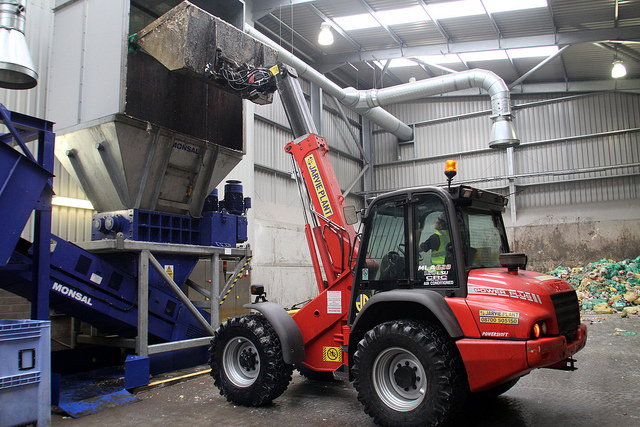 Deerdykes, Scotland's first large scale facility dedicated to the recycling of food waste, is well placed to meet this growing demand.